We've all been waiting for it, "Messages From Beyond" by James "Smokey" West is finally here, and joining him in studio to talk about it is his co-author, Charlene da Silva. As you'll hear Jim discuss, this will be the first in a series of books, and this one begins at a time detailing the legendary Green Beret's brush with death in the late 1970's after a car accident. As Jim says to me, there were no bright lights for him. Some of the work that Jack Murphy started in helping to write Jim's memoir appears in here, but much of that will also be told in a later book. The natural question I wondered when meeting Charlene, is how does a young woman with no military background get into the mind of a seasoned warrior and fighter like Jim to tell a story from his perspective? We get her insight on that, and you'll hear why Jim holds her work in such a high regard. "Messages From Beyond" is out now on Amazon.com in Kindle and paperback, and we hope that you pick it up. We also encourage you to visit Charlene's website at CharlenedaSilva.com. Always a great time with Jim in studio, and I'm glad he introduced me and our audience to the writer he chose to help tell his story. Fans of the Hurricane Group network of sites may be familiar with our aviation website FighterSweep.com, and it's former editor and writer for the site Paco Chierici has just today released his debut novel, "Lions of the Sky." The retired Navy fighter pilot who now captains a 737 and recreationally flies a Yak-50 is fulfilling his mission with this book in writing an action-packed thriller that only someone whose been there and done that could release. We get into Paco's background and some of the ego and fear that goes behind flying A-6E Intruders and F-14 Tomcats for the Navy. You'll also hear some of the fundamental differences between being accepted into this line of work with the military where guys who don't make the cut aren't welcomed back, as opposed to recycling back after failing to become an Army Ranger for example. Be sure to pick up "Lions of the Sky," it's out today on Amazon, and check out Paco's website with all links to social media at LionsOfTheSky.com. We also cover some major news of the week including WikiLeaks founder Julian Assange being arrested in London, Benjamin Netanyahu being re-elected once again as Prime Minister of Israel sparking some conversation about term limits, and Iran's Islamic Revolutionary Guard being labeled a terrorist organization by the U.S. We also answer your emails sent to sofrep.radio@sofrep.com. A lot of ground covered on this installment of the podcast. With nearly three decades of service in Army Special Forces, also serving as a Special Agent in the DEA, authoring several novels, and inventing tools now widely used by the military like the R.A.T.S. Tourniquet, Jeff Kirkham's background is both versatile and impressive. He joins us this episode getting into stories that include his tourniquet innovation saving lives, how he and his partner behind Readyman Jason Ross decided to start writing military thrillers, and his ongoing heated debate in the gun community of the AR VS AK platform. Be sure to check out his latest book "The Last Air Force One," and follow Jeff on Instagram @Praetorian_Innovations. Also on this episode we get into the recent public deposition of Alex Jones, currently being sued by the families of Sandy Hook victims for concocting conspiracy theories on the mass shooting of their children. They claim this rhetoric incited harassment from both members of his staff and his audience. Where is the line on free speech and language that incites harassment and potential violence against private citizens? Is this Alex Jones finally paying the price for years of spreading false information? We get into it on Episode 446 of SOFREP Radio. Can you believe that there are still 82,000 American prisoners of war that remain missing? This was the catalyst for Richard Jellerson's latest work "A Solemn Promise: America's Missing in Action." Jellerson has written and directed quite a few films that can be seen at StoryTellerFilms.TV including "The Personal Experience: Helicopter Warfare in Vietnam" for The History Channel. Prior to his film career however, Jellerson served with the 116th Assault Helicopter Company as a helicopter pilot during his first tour in Vietnam. His second tour, he was the personal pilot to General Abrams. Much of this is detailed in his book "The Healing: Pan Am Flight 001." The book's focus however is on the journey Jellerson took before coming home in healing from the scars of warfare, by going aboard a flight that went around the world, visiting various countries and meeting all sorts of interesting people. We learned about Richard from recent guest Marc Yablonka, and we hope you enjoy this discussion and check out both his book and latest film. C.J. Ramone is a friend to the show, and for the uninitiated played bass from 1989 on with pioneers of punk rock, The Ramones. Prior to joining the legendary New York band, he was a Marine, and has some great stories. As you'll hear, you may learn of some of these stories for a future project in the works, just one of two major announcements he drops exclusively for SOFREP Radio. What I can tell you now though, is C.J. has a new album coming out May 10th on Fat Wreck Chords titled "The Holy Spell." This will coincide with a world tour, the first dates of which are now up on his Instagram @TheeCJRamone. Also, if you're in the New Jersey area, be sure to come out to the New Jersey Horror Con & Film Festival where he'll be signing autographs and meeting fans this weekend. In addition, on Episode 442 we react to the massacre in New Zealand and Jack gets into the origins of the "eco-fascist" ideology of this murderer and NZ domestic terrorist. We also read your emails, including one about new Netflix film starring Ben Affleck "Triple Frontier." Last thing you need to know, we put together a very special offer for SOFREP Radio listeners looking to join Crate Club and get the best gear handpicked by former SOF veterans. For a very limited time, use the coupon code SOFREP at CrateClub.us for 20% off any crate of your choice. This is the biggest discount we've ever made available, and we don't know how long we'll be able to keep it going, so be sure to get on that! So much for this being a shorter episode, you guys sent us a giant mailbag full of great questions to sofrep.radio@sofrep.com. As the title suggests, we cover quite a wide array of topics, some critical, and some very silly. Learn about Jack's stories prior to becoming a Ranger, as well as my history in broadcasting. Crack one open, and enjoy two uninterrupted hours of us answering any questions you may have. 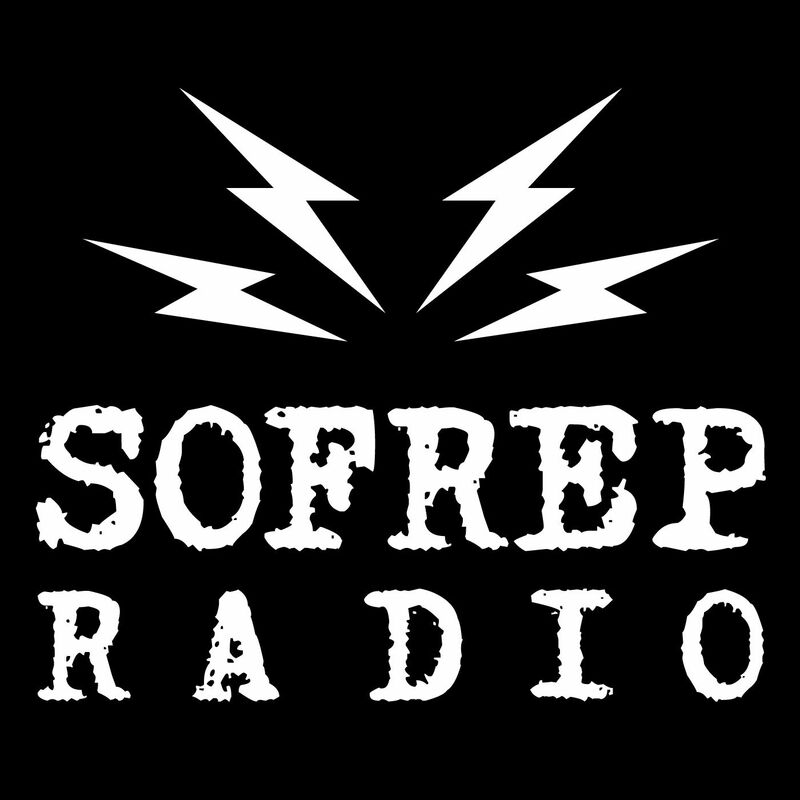 Joining SOFREP Radio for the first time is Andrew J. Polsky. Polsky has been a professor of political science at the Graduate Center of the City University of New York (known as CUNY,) as well as Hunter College, and is now the Dean of his department there. Polsky wrote a fascinating book released in 2012, "Elusive Victories: The American Presidency at War." It covers the decision making by the executive branch during times of war from the dawn of the American Presidency up until when the book was released. Although the book doesn't cover President Trump for obvious reasons, we get Polsky's take on what's happening now. He does a great job at drawing parallels we can infer between decisions made at the executive level of government in the past to current times. You can visit Andrew online at AndrewPolsky.com. As you'll hear Jack say, this episode is fundamental in understanding some of our previous episodes covering U.S. foreign policy. "Tanto" is a man that really needs no introduction, but for the uninitiated, he's best known as one of the contractors who served on the ground during the attacks in Benghazi. Kris is a long time friend to the podcast but it's been a while since we've heard from him. We get into where he's been, and his break from the spotlight as he purged all his social media and felt a need to get away from the public eye for a bit. As you'll hear Kris get into, he's not someone out searching for new gigs in media, but sometimes being in his position, a great opportunity presents itself. The latest being "War Heroes," a docu-series created by Jack Thomas Smith spotlighting those who served in combat. We hear about the premiere for the series taking place in Succasunna, NJ tomorrow (February 28th) which you can attend, as well as a meet & greet with Kris. The details for that are up at WarHeroesTV.com. We also hear about Kris's charity work with 14th Hour Foundation, his training courses through Battleline Tactical, and his upcoming book "The Patriot's Creed: Inspiration and Advice for Living a Heroic Life." We get the former contractor's take on recent controversies in the field both in Yemen and in Haiti. As usual though with Kris, we also share some big laughs. Since Kris is starting over with his online presence at the moment, be sure to follow his new Instagram @real_kris_tanto_paronto, as well as his new website KrisTantoParonto.net. In addition to all that, we answer your emails sent to sofrep.radio@sofrep.com, and also get your reactions to "The Punisher" being cancelled on Netflix. We love hearing from the listeners. So strap in, this was a fun episode. If you've been following Newsrep, or any news covering the special operations community for that matter, you're well aware of the arrest in Haiti of former U.S. Navy SEALs Chris Osman, Chris McKinley (who previously went by Chris Heben,) as well as former U.S. Marine Ken Kroeker. These three and several other men were hired as contractors in Haiti working security for the central bank. Due to the massive instability within the government there, matters were handled very poorly and you'll hear how this led to the arrest and eventual release of these men who are now back in the United States. We shoot down some of the wacky conspiracy theories going around since the news hit, and break down what we know so far. Following the discussion we get to our featured guest for Episode 433, Chief Master Sergeant Mike Lampe, a man who was there during the primitive years of Air Force special operations. Previously on Episode 391, Mike joined us to discuss his origin story and Vietnam service. This appearance we get into the next stages of his career, specifically his service in Desert One during the Iranian hostage crisis. As you'll hear though, we still have a lot more to cover in this man's career spanning three decades, so be on the lookout for a part 3. We hope you enjoy, and if you do, be sure to leave us a five-star review on Apple Podcasts. Actor Max Martini has been seen in some amazing hit films, including many in the military/war category such as “13 Hours,” “Captain Phillips,” and “Saving Private Ryan.” It’s no shocker that we’ve gotten plenty of requests to get him as a guest to the podcast, and we’re excited to bring him on for the first time. His latest film “Sgt. Will Gardner” not only follows the story of a veteran struggling to transition to civilian life played by Max, but 30% of the proceeds are going to some amazing charities he’s involved in. These charities are focused on the mission of helping veteran homelessness, PTSD, and TBI. Max not only stars in the film, but he wrote and directed this, and it was truly a passion project which he hopes to make an impact with for a cause he feels so strongly about. Although Martini credits the VA with helping many veterans, he often hears about where they may be failing, and he discusses this with us. “Sgt. Will Gardner” will be released on Blu-ray and DVD on February 19th, so pre-order it now, and you’ll be able to check it out before you know it as we’re only a few days away from it’s release. You can follow Max on Twitter and Instagram @MaxMartiniLA. Let him know what you thought of the interview.